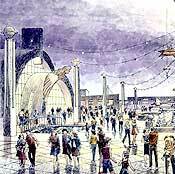 -Consultant for Six Flags Theme Park. 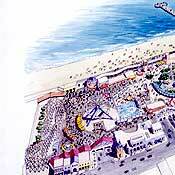 -Redesign and planning study to invisigate historic Coney Island. 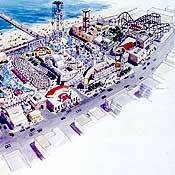 New parking sub level, refurbish historic 'Cyclone' Coaster and Parachute Drop. 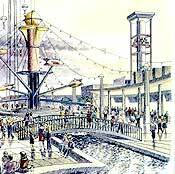 New retail, restaurants, theatre, street improvments, edge retail/ entertainment along facing street and boardwalk. Connections to adjacent aquaruim and transit infrastructure.